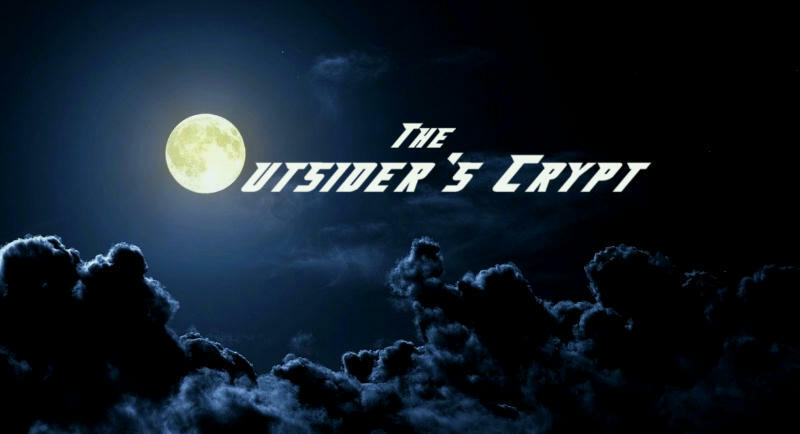 Welcome to The Outsider's Crypt. This is where I will release my works onto the Marvel Mods forum. I am a modder (one who does a mod from scratch), but I also do remixes of in-game characters or existing mods, and (pending permission) release them for you to enjoy. I also create small boosters. In short, you've just found the largest collection of mods and boosters anywhere! -If I didn't ask for permission to use your works, it's because either your "ReadMe" files of the mods, or your site pages didn't say I couldn't use it, or it stated that permission wasn't required. -I always give credit where credit is due. If I forget to acknowledge anyone, let me know and I will edit the post. -Do not edit or re-release these works without my approval. It took a lot of trial and error to do these mods & remixes. -If you plan to edit them, make sure to give myself and other modders credit for our respective works. -Don't claim any of these as your work. 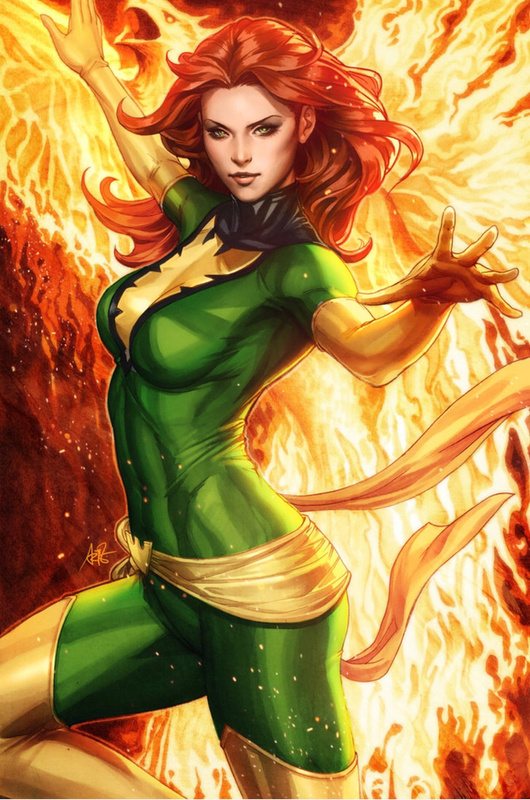 -These works are exclusive to the Marvel Mods forum. -Back up all original files when adding these in case something unforeseen goes wrong. Don't go crying to me, as I didn't put a gun to your head and told you to overwrite the game's original files. A remix of Scabbia's Giant Man mod, with a few moves added from the mods of Wasp and Mysterio. This was intended to be the ultimate Hank Pym mod, combining his scientific know-how with his powers as Ant-Man, Yellowjacket, and Giant Man/Goliath. UPDATE: Bio-Stinger added. Renamed "Gigantic Punch." Quicker Flash Bomb animation. Icon fixes. Powers & Passives no longer clase. Delayed grab smash (slightly) fixed, new loading screen added. Added new sound and voice files. Hex-edited all skins. No longer jumps or flies while in Giant size. See updated movelist. Replaced Ant-Man skin with more detailed version. Added new icons. Replaced Yellowjacket skin with more detailed version. -6 moves, 2 boosts, and an Xtreme. -Abilities of Might and Flight. -4 skins, 4 HUDs, icons, 2 loading screens, mannequin, and new sound/voice file using Pym's in-game voice. 1. Goliath Punch - Grows giant and punches enemies, knocking them back. Can charge. 2. Robotic Orb - Pym's invention used as a projectile. Can hold button and control. 3. Bio-Stinger - Quick and powerful beam from his hands. 4. Anger Management - Grows giant and repeatedly punches the ground, causing seismic quakes. 5. 360 Throw - Shrinks to ant size, grabs and swings enemy around before throwing them. 6. Flash Bomb - Throws a previously shrunken flash bomb that stuns enemies and lowers their damage output. 7. (Boost) Ant Size - Shrinks to ant-size, moves faster and gains strength. Cannot be slowed down. 8. (Boost) Giant Size - Grows to giant size, gaining strength and defense. Cannot be knocked down, and can slam enemies with a Giant Punch. 9. (Xtreme) Massive Elbow Drop - Jumps up, grows giant, and elbow drops on all enemies. NOTE: See the "Read It" file to delete some useless files from your game. Outsider - Mod remix, 2nd loading screen, icons, sounds, hex-editing, etc. This is a large booster for my all-time favorite Marvel anti-hero Wolverine. It has been upgraded to have many features. There is a booster out there so that Logan doesn't use the rage system at all, but I think the rage system fits him and his berzerker ways. UPDATE: Fixed the Muramasa Sword so that it activates without moving away Logan's claws. Added new ability, an extra loading screen, and new icons. Fixed 4th costume defense issue. -Adds four moves to Logan's movelist. Killer Instinct - At activation, this boost gives access to his rage moves for a limited time. After one attack, he officially gets in rage mode. This special boost takes no energy at all. Weapon X - RAGE required. Boost that increases damage taken, but his healing factor gets enhanced, and gains an energy factor. Muramasa Sword - Slices an enemy with the cursed "black blade," stealing some of the enemy's lifeforce into Wolverine. Adamantium Lazer Blade - RAGE required. Inspired by the old-school X-Men Arcade Game. Blasts away enemies with damaging energy comets. -Rage now lasts twice as long. -Changed the icon for "Fury." It is still useful as it gives Logan more strength and attack speed. -"Fury" was renamed to "Berzerker Fury." -Increased damage of "Feral Rage" Xtreme. -The previous bug from "auto-gear" has been fixed. -Add more icons, including a marquee inspired by the 2013 film The Wolverine. These are so awesome!! Finally, you have your own Wolverine booster, and it is incredible! Gotta try it as soon as possible! Nice to see your in the modding scene now! All this stuff looks great. Thanks. It's nothing like the awesome mega-boosters you make, but it's a little something in the meantime. I appreciate that, thanks. I'll add some more over time, as I have some more remix projects coming up. Thanks, I appreciate it. Hmmm... the 2nd move. You mean the "Robotic Orb?" Yeah, the pop-up was replaced for a projectile attack, but if it's not working, I'll take a look at it. When I was testing it, the Mysterio mod was uploaded. I don't know if you have Mysterio, but I put in some files from Mysterio in the hopes those would be enough for it to work.... I'll take a look at it and get back to you. As for the throw, I did think about that one in that he turns giant and holds the enemy the same way Hulk and Colossus do, but it didn't work because he would turn normal size again. I could try again and give you the codes to change if I am successful. OK, it's fixed. I see what I did - I forgot to add the "ents_mysterio.xmlb" in the data/entities folder. Download it again, and it should have it, making the move work. My testing confirms that to be the missing file. I'll work on the grabsmash soon, as I have other projects in the works. Deadpool is known as the "Merc With The Mouth" and he tends to break the 4th wall a lot, even believing he is a comic book character. This is now a full booster for him with new skills added, new loading screens, and in his powers and passives descriptions, Deadpool talks to you - the player. Note: You should download nshinnosuke's Deadpool booster first (http://marvelmods.com/forum/index.php/topic,7214.msg133615.html#msg133615), as this talents file goes along with that. UPDATE: Now a complete booster with new boosts, added icons, new loading screens, and even more hilarious banter. Added a keyboard version, and new resurrection ability. Added new sounds and taunting ability. Awesomeness is no longer just talk from DP... No longer says "No, I don't think so..." during stun attack. Harley Quinn's boltons now won't show up if summoned. -Four new icons added to his icons. -Seven Deadpool loading screens for you to choose from. -Renamed "Bullet Mayhem" to "Insane Gunfire"
-Renamed "Wisecrack" to "Your Momma!" -Renamed "Battle Cry" to "Deadpool Corps"
-Added new sound/voice file featuring his voice from "Marvel Vs Capcom 3" in addition to his in-game voice. -Features 4th wall-breaking Deadpool-like banter on his powers, passives, and abilities. More than previously. Outsider - New boosts, new icons, loading screens, new sounds, powerstyle & talent fixes & renames, all Deadpool banter, etc. When using "Ladies Man," the girls stand like Deadpool and sound like him when attacked. Sometimes they'll attack somewhere randomly, but will attack enemies that attack you. If these can be fixed, it will in a future update. Also, be wary not to summon all five in the same stage. The game may slow down. Great work. I think your Hank Pym 're-mix' is a vast improvement over the Giant Man mod, which was already fully playable. -Flight - I like it in the Wasp mod how she shrinks down as soon as you activate her flight. Perhaps this could be incorporated in the Pym mod as well. If a shrink-upon-flight thing could be done, perhaps he could also become even smaller? Then you might even argue that he's jumping on a flying ant (you can't see to claim otherwise), which is how Ant-Man is known to fly. At least, I'd like to block the flight ability when he's in giant mode. The flying giant with the wings looks a bit off... Could this be done (blocking the use of flight or powers when one power is active)? -Stingers: some laser-weapon which he shoots with his hands. This is part of the Yellowjacket outfit. -Ants! Can't help it, it's one of the man's things: he can communicate with ants through his helmet. It would be cool if he could target an enemy and summon something that looks like a foggy cloud over said enemy's head, stunning him. I'm glad you dig the remix. You don't know how badly I wanted to add ants to this mod... (And yeah, a flying giant with tiny wings does look ridiculous, I agree!) See, compared to a lot of the more seasoned modders here, I'm basically a rookie modder. I tried to add stingers to his moveset, but it was unsuccessful. A veteran modder around here does have interest in further improving Hank Pym (including ants and stingers), but he's busy right now. And I'm currently working on another project. But perhaps I will revisit Pym in the near future and give the stingers another shot. Happy to hear your thoughts, and it seems to me you're well on the way of gaining more levels in modding! A mod of Angela Del Toro, the White Tiger. 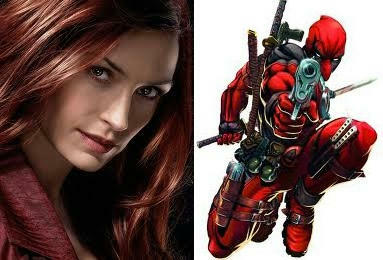 She is an amalgam of moves from Ronin, Deadpool, Elektra, and a few others. I've added the game's katana bolton to her (though not on her person), and some of her moves have... interesting additions. I find her fun to play as, and so will you. UPDATE: Her powers no longer clash with Ronin, Deadpool, Elektra, or others. They can be on the same team with no problems. 2 more HUDs, loading screen, and icons by Outsider added. Replaced skins with new versions by Aventureiromax. Now has a mannequin. Fixed talents file errors. -6 moves, 2 boosts, and an Xtreme - with new effects. -4 hex-edited skins, 4 HUDs, icons, sounds, mannequin, and loading screen. -Abilities of Speed (moves 15% faster) and Flexibility (triple jump). Outsider - Mod creation & coding, 2 HUDs, icons, sounds, loading screen etc.